My son never likes his pictures taken. We were at the pool and as usual didn’t want his pictures taken. So he covered himself up in a beach towel. I stood by, quietly and patiently. 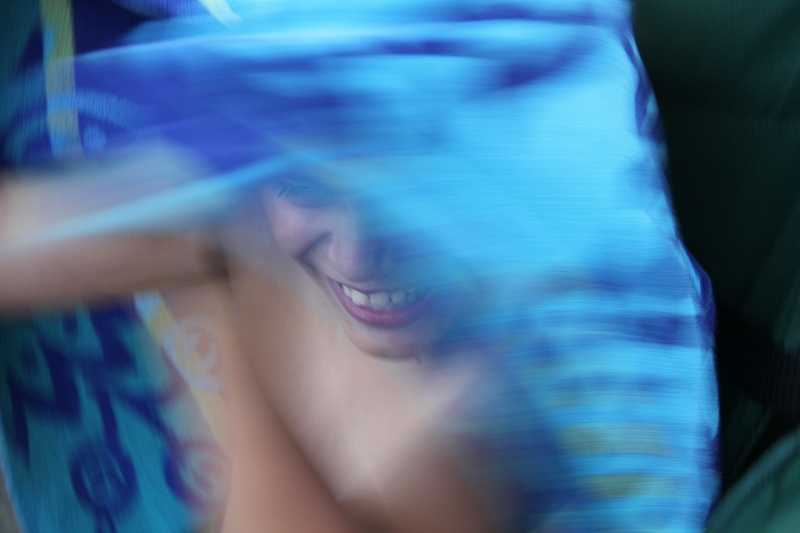 As a typical child, he couldn’t resist lifting his towel to see if I was still there. This is one of the photos I snatched when he lifted his towel. I got him! I won! Previous postWhat are blank inhalers a.k.a. Aromatherapy inhalers? Love it! It just proves two things. Kids have fun and they can’t sit still! I like the contrast of his smile and the moving towel. Good shot.